Soon to be a lottery pick in the 2019 NBA draft, Murray State point guard Ja Morant is one of the most electric players in college basketball. He averages 24.6 points—which is good for eighth highest in Division 1 men’s basketball—along with 10 assists and 5.5 rebounds per game. Morant continues to light up the highlight videos with his thunderous athleticism and dunks and combined with his elite all-around game, he has potential to propel his team to the Sweet 16. Purdue guard Carsen Edwards has the potential to lead Purdue to one of the following: an early round exit or the first Final Four for Purdue basketball in 39 years. As of late, Edwards has been on a pretty big slump, shooting 34.5% from the field and 25% from three in his past eleven games. He is a high volume shooter, which hurts your team when he isn’t shooting well. But when he’s on, he can single-handily lead his team to victory. Against Penn State earlier in the season, Edwards was on fire, making 8 threes and finishing with 38 points. If he can shoot efficiently, Carsen can lead the Boilermakers to a deep run in the NCAA tournament. Like Ja Morant, Marquette guard Markus Howard is one of the most dynamic and electric scorers in all of college basketball. He is sixth in the nation in points per game with 25, 11th in free throw percentage, and 10th in three-pointers made per game. Howard shoots 42.2% from behind the arc and has had some serious scoring nights this year. He scored 53 points against Creighton on 71% from three, 45 points against Buffalo on 69% from three, and consistently racks up games with 20 plus points. He can hit the mid-range jumper, the deep three, or finish it near the rim. What will truly determine if Markus can propel Marquette to a deep run is his health; after re-injuring his wrist in the Big East semifinals on Friday, Howard was shut down by Seton Hall, shooting one for 15. If he is healthy, Marquette can make a deep run thanks to Markus. After making it to the Sweet 16 in last year’s NCAA tournament, the Nevada Wolf Pack return as a seven seed for the second year in a row. To start the year, the Wolf Pack went 14-0 and were ranked in the top 10 until their loss to New Mexico. They return almost every piece from their Sweet 16 run last year, as well as adding impact transfers Jazz Johnson and Trey Porter. The Martin twins, Caleb and Cody, both average double-digit points per game, with 19.2 and 11.7. They have four players averaging double figures, with the other two being Jordan Caroline and Jazz Johnson. Caroline, who averages 17.3 ppg and 9.6 rebounds per game, was sidelined in the Mountain West Conference semifinals loss with an Achilles injury, but is said to be back to 100 percent and will play against Florida. Nevada dominated conference play, and have the fifth-best scoring margin in the country, closely trailing the likes of Houston, Duke, and Virginia. Even after stumbling towards the end of the season with the loss against San Diego State, the Wolf Pack are in prime position as a seven seed to shock some higher-ranked teams in the West. Coming off of an 81-70 victory against Temple in the First Four, the Dylan Windler-led Belmont Bruins are heating up at just the right time. Even with Windler not playing his best, the Bruins defeated a good Temple team thanks to his teammates picking up the pace. Big man Nick Muszynski was hurt in the team’s loss to Murray State in the OVC Championship, and returned for the game against Temple, scoring 16 points and giving a better interior presence for the Bruins. The Bruins have an incredibly efficient offense, averaging 19 assists per game along with the second-best assist-to-turnover ratio in the nation with 1.69. They average 86.7 points per game—the second highest average in the nation—and consistently sit in the top 5 for both field goal percentage and 2-point percentage. Overall, I think the Bruins’ high-powered and efficient offense can make a Sweet 16 run against a poor Maryland and LSU defense. Jarron Cumberland and the Cincinnati Bearcats are the new AAC tournament champions after a huge win over Houston. The Bearcats don’t have some of the marquee wins that the higher seeds do, which is why I think they were given a seven seed, but any team that can dominate the Cougars like Cincinnati did can make a run at things. Cincinnati also posts one of the best defenses in the nation, allowing only 62.2 points per game. The Bearcats were also given a favorable draw geographically, as they will only have to travel two hours north to Columbus for the first two rounds, which should give them a good crowd. If Cumberland and fellow guard Justin Jenifer can heat up from beyond the arc, look for Cincinnati to make a run to the Sweet 16. The Anteaters of UC Irvine come into this game with the third-highest win streak in the nation, as the Anteaters have won the past 16 games. With wins over fellow NCAA tournament teams like Saint Mary’s and Montana, UC Irvine showed their own against top quality teams. The Anteaters have a stellar defense, especially involving protecting the rim. For two-pointers, they lead the nation in the lowest two-point percentage allowed with 40.7%. Kansas State shoots over a third of their shots from the paint, and they don’t shoot it well; the Wildcats shot only 51% from two. UC Irvine holds opponents to only 0.9 points per possession, and the Wildcats only score one point per possession. Overall, this is not a good matchup for Kansas State, and I see the Anteaters pulling off the upset in this one. The Liberty Flames play just like their neighbors to the north, the Virginia Cavaliers, by slowing down the pace on offense and packing it in on defense. Liberty is 349th in adjusted tempo, forcing their opponents to defend for a majority of the shot clock as their defense is dissected. Fortunately for the flames, they have one of the best shooting teams in the nation. They score 56.9% of 2-point field goals (seventh in the nation) as well as 77.9% from the free throw line, which is the second highest of any team in the NCAA tournament. Not only that, but the Flames also average 8.8 three-pointers per game. Mississippi State is among the worst in the nation at defending the three-point line, giving up 35.3% of their opponents’ three-point shots. Inside the arc, it doesn’t get much better for the Bulldogs, as they are scored on 48.5% when aa two-pointer goes up. I think this is a very favorable matchup for the way Liberty plays, and I would not be surprised if the Flames defeat the Bulldogs in the first round. With eight players average 6 or more points per game, the Aggies of New Mexico State are filled with depth. Thirteen different players play at least 11 minutes per game, something that is rarely seen in college basketball. They have also had nine different leading scorers this season, showing if anyone is having an off day that one of their teammates can pick up the pace. Guard Terrell Brown shoots lights out from three, as he shoots 43.1% from 3-point range. The Aggies are also exceptional on the boards, as they are ranked eighth in the country in offensive rebounding rate and fourth in defensive rebounding rate. If Auburn doesn’t shoot lights out from three as they did in the SEC championship against Tennessee, I see the depth from New Mexico State overwhelming the Tigers and leading them to a first-round upset. The Michigan State Spartans are yet to prove their worth in March the past couple of years, but I think this year is different. Head coach Tom Izzo has dealt with unparalleled injury struggles after two of his best players went down injured, and he still managed to lead the Spartans to a regular season and tournament title in the Big Ten. While I don’t think this is Izzo’s most talented team at Michigan State, I do think this team has shown things that you haven’t seen in years past; there’s always a player that can pick things up for the team. In the Big Ten title game, it was Matt McQuaid. In the second matchup against Michigan, it was Xavier Tillman, and against Nebraska, it was Kenny Goins. 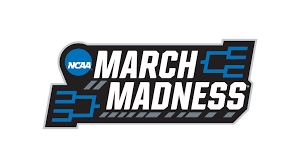 They have an easy road to the Elite 8, and as long as the Spartans hold Duke’s’ Cam Reddish and RJ Barrett to inefficient shooting nights, I can see Michigan State making a run to the Final Four. The Michigan Wolverines have struggled against the Spartans, but in stretches of all three games, they showed just how elite this team can be. Point guard Zavier Simpson controls the game like no other Michigan point guard has done so in the past, directing traffic beautifully throughout the game. If he can have an NCAA tournament like his Big Ten tournament in which he only turned the ball over twice, Zavier can be the most important player for the Wolverines. Alongside with him is Iggy Brazdeikis, who when shooting well, can light the box score up. If guard Jordan Poole is making the right shot choices and shooting the ball well, I think he can be a big player in March too. However, alongside Zavier being the most important player is center Jon Teske. When Teske is playing lockdown defense as he did on Michigan State’s Nick Ward, rebounding the ball well, and hitting hit outside shots, he can be the best and most important player on that Michigan team. Overall, I think Michigan will make a run at things, defeating Nevada, Texas Tech, and then a good Gonzaga team en route to the Final Four. The Volunteers have an impressive array of wins against top quality opponents like Gonzaga, Kentucky, Mississippi State, and Louisville. However, the concern down the stretch has been losses to LSU, Auburn, and Kentucky. Back-to-back SEC player of the year Grant Williams averages 19 points a game, and the Volunteers have a total of 5 players averaging double figures. I think if guard Jordan Bone, combined with the play of teammates Admiral Schofield and Grant Williams, play as they did in the win over Kentucky, the Volunteers have a shot to make a run for the National Championship. The Cougars have one of the most efficient offenses in the country led by Corey Davis, who averages 16.6 points per game. They also have a stifling defense that holds opponents to the nation’s sixth-best defensive average with 61.2 points allowed per game. They’re also home to the second-best three-point defending team in the country, as they only allow opponents to shoot 27.6% from beyond the arc. Guards Corey Davis, Armoni Brooks, Galen Robinson Jr. make up one of the best backcourts in the nation. I see the Cougars making a deep run in the NCAA tournament, ultimately falling to Tennessee in the Final Four.